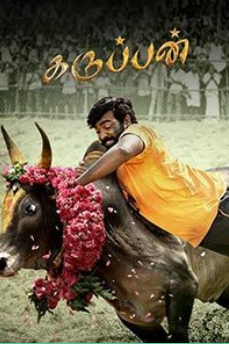 Karuppan is a Tamil movie featuring Vijay Sethupati and Tanya Ravichandran in the prominent roles to look for and also includes Bobby Simha. This Tamil movie has been directed by R.Panneerselvam who is an Indian film director and is famous for his movies like Naan Thaan Siva, Run, Reningunta, 18 Vayasu and many more. Karuppan is a movie filled with drama, thrill and action engulfed in one and makes the movie more interesting. The movie revolves around the story where Vijay Sethupati fights for his rights and brings the extraordinary impact on-screen. Coming to the songs of the movie, we can say that all the songs are good and worth-listening to and the credit goes to Imman who has composed the songs of the movie. The movie’s cinematography can also be well appreciated as it brings the correct theme based background and the complete credit goes to K.A Sakthivel. This movie has also surrounded with some controversies earlier as the bull owner of the bull used in the movie claimed that the movie producers did not take any permission from him to use the bull’s name in the movie poster. The amazing fact is that instead of all these controversies, people still want to watch the movie and has a great fan following.